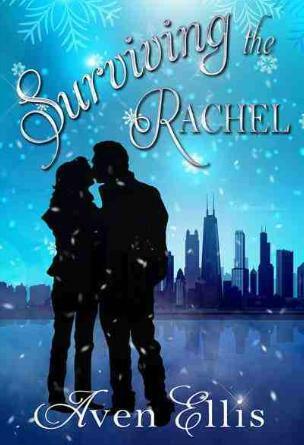 Book Review: Surviving the Rachel by Aven Ellis-5 Stars! Aven Ellis is one of my favorite authors. You know the ones where, no matter what they write, you just have to have it because you just know it will be amazing? I was so excited to get to read her latest, which tells the story of Bree, who we meet in Chronicles of a Lincoln Park Fashionista. I absolutely loved Bree’s story. I related so well with her. For a while after graduation, I was so down because I didn’t have a career, after going through school for 4 years and working so hard, only to work a part time, minimum wage job. But like Bree, with the help of an encouraging handsome man, more hard work, believing in myself, and dedication, I now have a career! 🙂 She has moved back home with her parents because she can’t find a professional job, and her meddling mother is trying to set her up with their neighbor’s grandson, Eric. Bree is bummed about having to work as a cocktail waitress, without a real job in her field lined up, so she decides to get a drastic hair cut for a fresh start. Turns out her “fresh start” is actually “The Rachel”- yup, the look worn by Rachel on Friends in the 90’s! When Bree meets Jack, Eric’s brother, she’s immediately head over heels. He’s got navy eyes, reddish-brown hair, and freckles….how handsome!! Jack is a German translator. He is a good guy, and sometimes doesn’t have a lot of faith or confidence in himself. I didn’t think I could love an Aven Ellis character more than I did William from Connectivity, but like Bree, I was falling for Jack hard!! (William is still in the top spot because he’s British ;)!) I really enjoy how Aven’s romances are real. True life isn’t all sunshine and daisies. People get hurt, people mess up, but when it comes down to it, love is all that matters! In one moment of the story Bree realized she loved Jack so much that she envisioned themselves scraping by in a tiny apartment, but happy and in love! Bree and Jack both have past loves that they’ve struggled with healing their hearts over, and that brings conflict to Jack and Bree’s relationship. I could honestly feel myself hurting for each of them during these hard times! I love the sweet, dreamy, romantic way Jack speaks to and treats Bree. He’s so loving, playful, and encouraging. I always laughed at their “deal-breakers!” Their relationship reminds me of me and my husband, between the joking and sarcasm and the true love they have for each other. 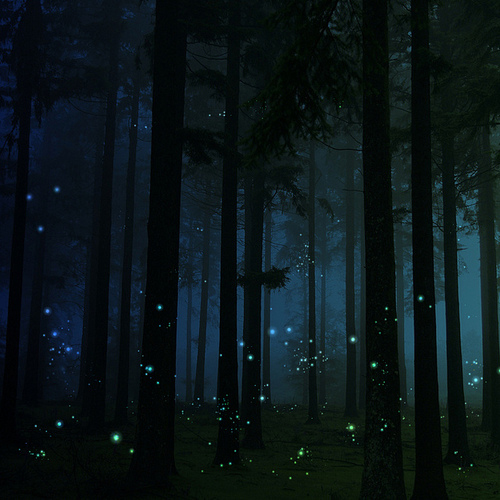 Their first kiss among the fireflies was magical! Bree calls Jack her “firefly who has lit up the darkness” that she felt after Alex dumped her. This review can’t be written without mentioning Diva, Bree’s mom’s Pomeranian. She totally fit her name!! I love that little pup! I thought it was hilarious how Jack took her to Doga (yes, dog yoga)! Without Diva running into Jack’s house and peeing on the floor, Jack and Bree would never have connected! I was engaged in this story from the very start, and didn’t want to put it down! I was constantly wanting to read more of Bree and Jack’s story, but it was so good, I didn’t want it to end! Thank you Aven, for another wonderful, heart warming, enjoyable read! I’ve missed writing on this blog!! I’ve been crazy busy, but today’s post is going to feature “My True Love Gave to Me!” This is a collection of twelve holiday stories that is simply delightful. For the book as a whole, I give it 4 stars, but I’m going to give mini reviews for each of the novellas. Of course, with every collection, there is going to be stories you absolutely love, ones you hate, and those you’re just “meh” about. Some of the short stories, I felt, ended way too abruptly. Overall though, I highly recommend this book! Have you read this collection of stories? What did YOU think? I have this on my Kindle, but I really want the print version because PINK PAGE EDGES!